A Marathi speaking 4 year old girl named Rashi starts kindergarten. Her mother, trying to choose the program that will best support Rashi’s learning of English, puts her in an all-English classroom. Rashi struggles in kindergarten; everybody at home speaks Marathi, and she doesn’t understand English while her classmates are way ahead in conversing in the language. Rashi feels unsure of herself and struggles to answer the teacher’s questions as she is unable to understand them. Today, a new educator came to teach. She asked Rashi a few questions, but this time in Marathi. Rashi’s face glowed and she promptly responded to all her asks. There are many such Rashis in preschools across India who are unable to catch up with the lessons because of the language barrier. While English remains the medium of instruction in most schools and even in the professional world most communication happens in English, there is no doubt that the mother tongue plays an equally significant role in building concepts in the child’s mind. Often the child hasn’t built a foundation in the first language and she is thrown into a completely new world of the second language with high expectations of learning to be equally fluent in it. It’s critical we help children build a solid footing in both the mother tongue and the second language, so that the child is fluent and literate in both languages. Parents generally believe a common myth that learning two languages in school during the early years will overwhelm, confuse, and/or delay a child’s acquisition of English. In fact, the opposite holds true. Most young children throughout the world successfully learn more than one language from their earliest years. Exciting new research from neuroscientists and psycholinguists on the impact of learning two languages during the infant-toddler years has highlighted the human brain’s extensive capacity to learn multiple languages, as well as the infant’s ability to separate out each language and to interpret contextual cues to know which language is appropriate in a given context. [ii] The key, though, is that children need to learn the languages systematically. Replacing one language with another in school will not help a child learn either language well. There is a large body of evidence that showcases that learning in the mother tongue in the early years helps children build a foundation and learn a second language well. For this reason Sesame Workshop India (SWI) under the All Children Reading Grand Challenge grant initiated a project in several districts of Maharashtra which focuses on developing a child’s reading skills in the mother tongue. 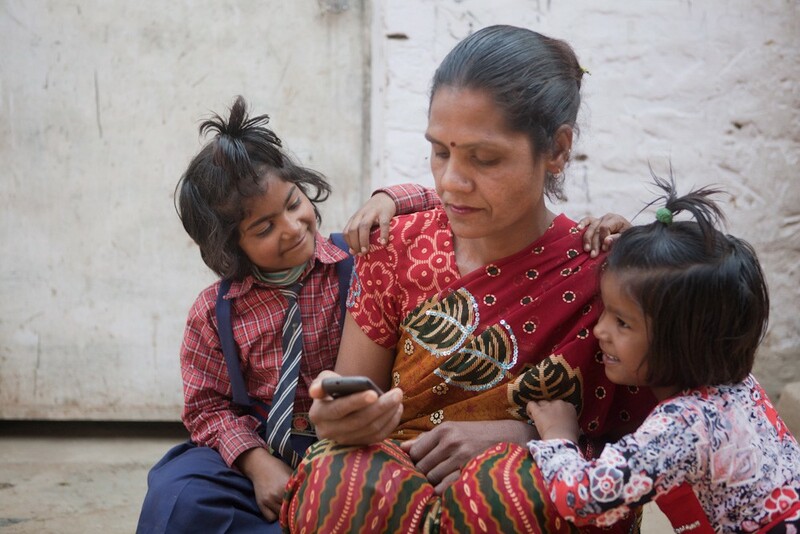 SWI has developed an app comprising of digital storybooks and games in Marathi. Through this project, SWI aims to help children develop their Marathi reading skills. To promote teaching and learning in the mother tongue, policy level implementation is required. There is a need to hire teachers who are capable of teaching in the local language or building capacities of existing teachers, so that they can use the same home language as the medium of teaching in schools. To support educators, high-quality curriculum also needs to be developed in the mother tongue. Undoubtedly, government support is critical to encourage children to read and learn in their local language. Content developers also need to come forward to develop quality content to deliver educational material in the mother tongue. The benefits of learning more than one language extend beyond cognitive skills; it enhances self-confidence and the self-esteem of children. But what’s important is to be truly bilingual which means being fluent in both languages. Being somewhat literate and relatively fluent in each language will not serve our children well. Rather, it may be detrimental to children’s developmental and learning needs. It’s time that we start prioritizing the learning of children by understanding what works best for them. If you can engage children, you can educate them and what better way to engage them than in their mother tongue? [i] 13. Thomas,W.,&V.Collier. A national study of school effectiveness for language minority students’ long-term academic achievement. Santa Cruz, CA: Center for Research on Education,Diversity & Excellence, 2002. Retrieved from: http://www.cal.org/crede/pubs/ResBrief10.htm. [ii] Kuhl, P.K. Early language acquisition: cracking the speech code. Nature Reviews Neuroscience, 5(11), (2004), 831–843. We unravel the joys and challenges of childhood to push the boundaries on helping all children grow smarter, stronger and kinder.